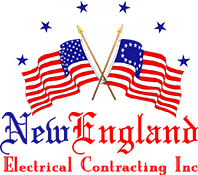 Code Violation Corrections - New England Electrical Contracting, Inc.
New England Electrical Contracting has the expertise required to quickly repair and correct code violations in your home. Our technicians are fully informed about the latest codes and regulations in Fairfield County. They use modern equipment and best practices in order to adjust the electrical wiring in a home or remove dangerous components completely. Homeowners can trust New England Electrical Contracting to bring the house into compliance.